National University is the biggest university in Bangladesh. 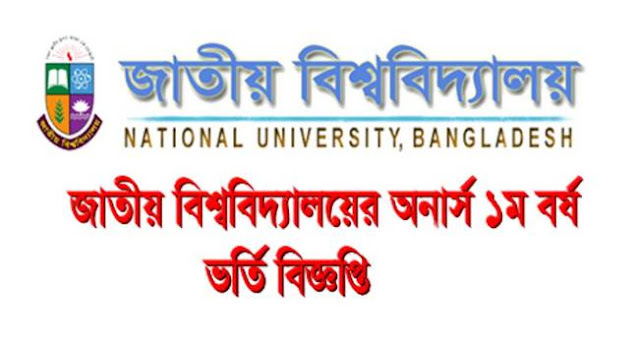 National University Bangladesh has declared honours 1st year admission test circular 201 - 2019 on her official website http://www.nu.ac.bd . Application starts on 01 September, 2018. Application ends on 19 September, 2018. Online form assurance date: 03 September to 22 September, 2018. How to apply NU admission? At first, fill up the online form and then print a copy and then go to your desired college to submit that online hard copy. NU official link for this admission circular here. Details about NU admission notice.